A screenshot from the never-released 'Infinity Blade Dungeons'. We shed a tear when Infinity Blade Dungeons was canned after mouthwatering footage was shown at an Apple event, but there may still be hope. One of the most popular iOS games in history isn’t over yet, if a LinkedIn profile is to be believed. A Senior Q&A Tester for ChAIR Entertainment, the iOS development arm for Epic Games, has “Infinity Blade 3 for the iPhone” listed as one of the games he’s testing. While that’s by no means a confirmation, it isn’t surprising. ChAIR teased us with “just wait till you see what we’ve got in store for the Infinity Blade universe” earlier this month. 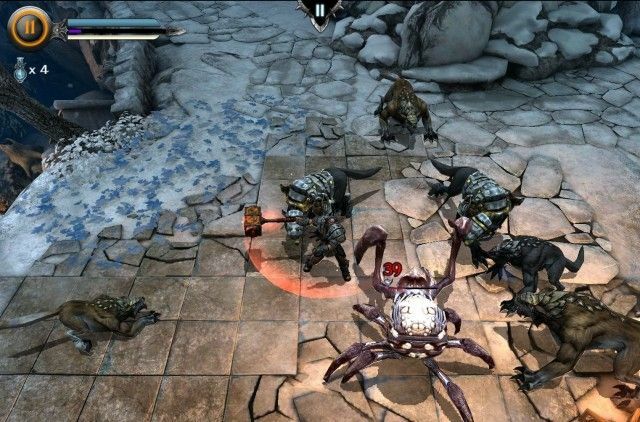 Infinity Blade II received a big upgrade last summer, but development has been quiet since then. Maybe we’ll see Infinity Blade III at an Apple event this fall? Now that iOS 7 opens up the possibility for hardware controllers, things could very interesting.